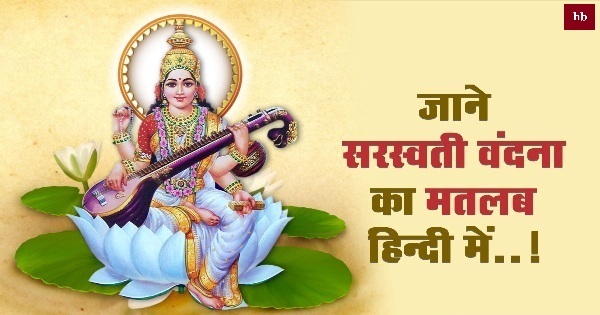 Saraswati Vandana song has a special significance for the worship of maa Saraswati. Maa Saraswati is the goddess of. Gyanadayini Maa Saraswati is wearing white clothes and she always keeps a shining harp(veena) in her hand. All the students and those wishing for knowledge should worship to maa Saraswati, because she is the goddess of knowledge. Our intellect and mind work with the grace of her. We are sharing Saraswati Vandana song here. 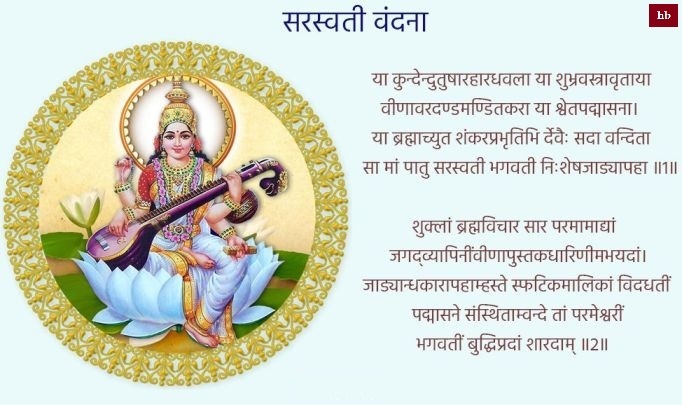 Students studying in schools and students can also include them in their curriculum.Maa Saraswati Vandana, who is the goddess of knowledge, art and music.Hence many types of songs are being sing for her devotion. Her Vandana song in Hindi language you can find information from here to read this which is important for us. Maa Saraswati is one of the principal female god of Hindu religion. She is an incarnation of lord Brahma . Her names are Shatarupa, Vani, Vagdevi, Bharati, Sharda, Vageshwari etc. Magh Shukla Panchami has come under the pattern of worshiping her. Maa Saraswati is considered to be the goddess of literature, music, art. There is a three-dimensional coordination of thought, emotion and sensation in it. 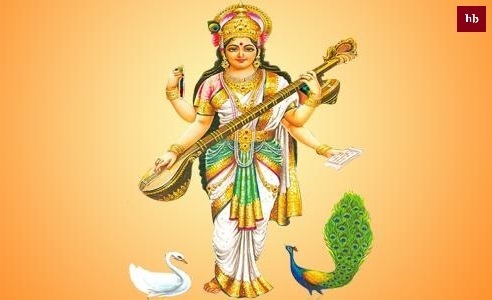 Veena is a manifestation of music, book asking and peacock vehicle art. Saraswati has been considered as the goddess of education in public discussion. In the educational institutions, Vasant Panchami is celebrated with the birth anniversary of Saraswati. The animal is given credit for making the animal - the blind is given credit for getting the eye.